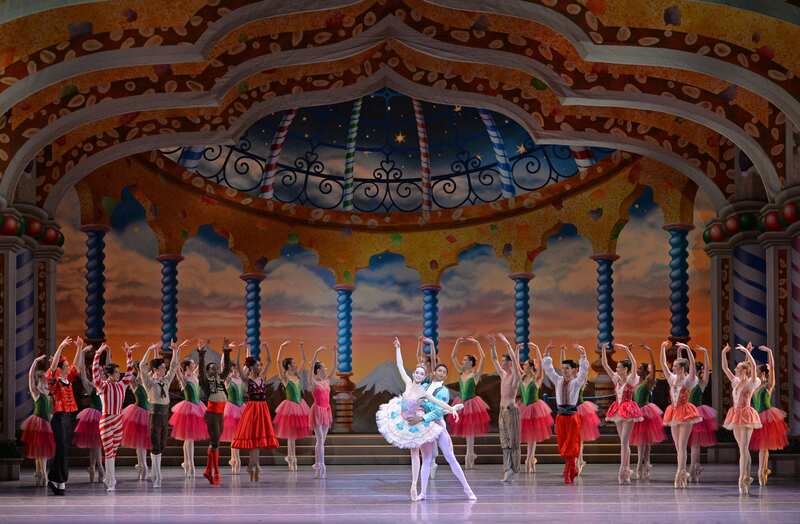 A Fort Wayne, IN native, ballerina Chelsea Dumas didn’t grow up seeing The Nutcracker every year. But the few times she saw the show, Tchaikovsky’s incredible music, the eye-candy costumes, and the beautiful dancing stuck with her. Now 26 and in her seventh season with the Charlotte Ballet, Dumas is the Sugar Plum Fairy in the annual production of Jean-Pierre Bonnefoux’s Nutcracker—one of the most recognizable roles in one of the most beloved of all ballet’s most iconic shows. Dumas chatted with SouthPark about the role, her pre-performance rituals, and her adoring young cast members. How many times have you been part of the Nutcracker? This will be my seventh Charlotte Ballet Nutcracker. I’ve been in the snow and flowers corps, a Chinese dancer, a Spanish dancer, marzipan. As an apprentice at Charlotte Ballet five years ago, I was in the corp of snow a—nd flowers, aspiring to be the Snow Queen someday. That’s why playing the Sugar Plum Fairy is a dream—all that hard work really does pay off. What do you love about playing the Sugar Plum Fairy? I love it all—wearing the tutu and tiara and being dressed in head-to-toe sparkles. And as an artist, dancing the pas de duex to such beautiful music is magical. Before a show, I always have some dark chocolate and put on my essential oils to give me energy. Why do you think Nutcracker has such broad appeal? The magical feeling it provides throughout the entire show. There’s so much to see. And there’s something for everyone—people of all ages can come and enjoy it and leave it feeling happy and in the holiday spirit. This ballet is such a multi-generational production. What’s it like working alongside the children? The younger kids are always asking to get their pictures taken with the Sugar Plum Fairy, and they are awestruck when we chat with them and ask how the performance is going. It reminds me of myself at that age and how I always looked up to the older dancers and wanted to be just like them. It’s an amazing feeling knowing that we, as company members, are inspiring the next generation of dancers.